Satva Industries Psyllium Seed, Pack Size: And Also Available In 50Kg and 1000 Kg. We are engaged in providing Psyllium Seed. Psyllium husk, Sat-Isabgol, Indian Plantago, Plantago Ishagula, Isabgol, Flea, Ispaghua, Spogel, Plantago Psyllium, Isaphgol, Plantago sp., Isabgula, Plataginis Ovata Testa. 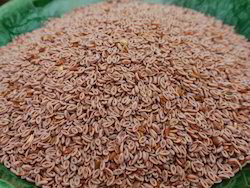 The psyllium seed is encased in a thin white, translucent mucilaginous membrance know as ISABGOL HUSK or SAT-ISABGOL. 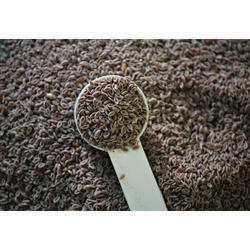 Psyllium is a form of fiber made from the husks of the Plantago ovata plant's seeds. It sometimes goes by the name ispaghula.Psyllium is a medicinal herb that has wieght loss benefits and also used to treat gastro- intestinal problems. Psyllium is also adjunct to diets in the treatment. Diya Agro Commodities Pvt. Ltd. Sat isabgol is contains of natural fiber. Sat isabgol is being taken as supplement of fiber in food. We offer our clients Sat Isabgul. This is one of the ancient medicines used for curing constipation related issues. It is highly effective, as it absorbs water in the stomach and swells up to create bulk in the intestine. Moisture level of the stools thus, enhances. Hence, the peristaltic movements and bowel mobility, eventually, gets better. Shree Shiva Shiv Trading Co.
· Isaphgol : · Plantago sp.